"I’m feeling very sick and ill today," Morrissey was singing back in 1984, when he was actually in the prime of life and at the peak of his career as frontman of The Smiths. Three decades later, he has been advised to give up the music business on health grounds. The singer recently cancelled a North American tour. Recent health problems have included pneumonia, ulcers and a condition called Barrett’s oesophagus. Speaking to a Mexican radio station, he outlined some of the ailments. "I had internal bleeding and I was rushed into hospital and I had lost a lot of blood," he said. "They tried to patch me together over the following five weeks but it didn't work. I was on lots of IV drips for almost five weeks, and each time it seemed as though I was back to robust health I would decline. I had lost so much blood I had become anaemic, but I'm still receiving ongoing treatment and I am very optimistic now." Morrissey said he had been advised that the stress of touring was damaging his health, but that the business was "ingrained" in him. "It almost became absurd the number of things that happened to me, but everything just attacked me at once. My immune defences were very, very low and couldn't cope with anything, so therefore the slightest gust of wind and I would have a terrible cold." 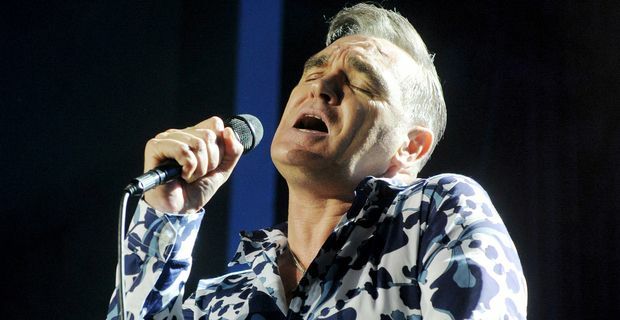 The cancellation of the American tour was a substantial blow because Morrissey is reliant on touring to maintain his profile. He has no record deal for his new songs and is unwilling to release them himself. He still has a considerable following in North and South America and can fill medium-sized arenas there. In the UK recently he has become better-known for his occasional intemperate comments on the Royal Family than his music.